Closeup of a variegated meadowhawk. Five years ago I started reporting seeing a small dragonfly in the middle of winter on sunny days, even following frosty nights. Dragonflies usually spend the cold months as larvae in the water. Up until then, none of the other dragonfly enthusiasts were reporting anything at all. I've been able to photograph and report this one species in December and January every year since. Two Variegaed Meadowhawks uncharacteristically perched close to each other. 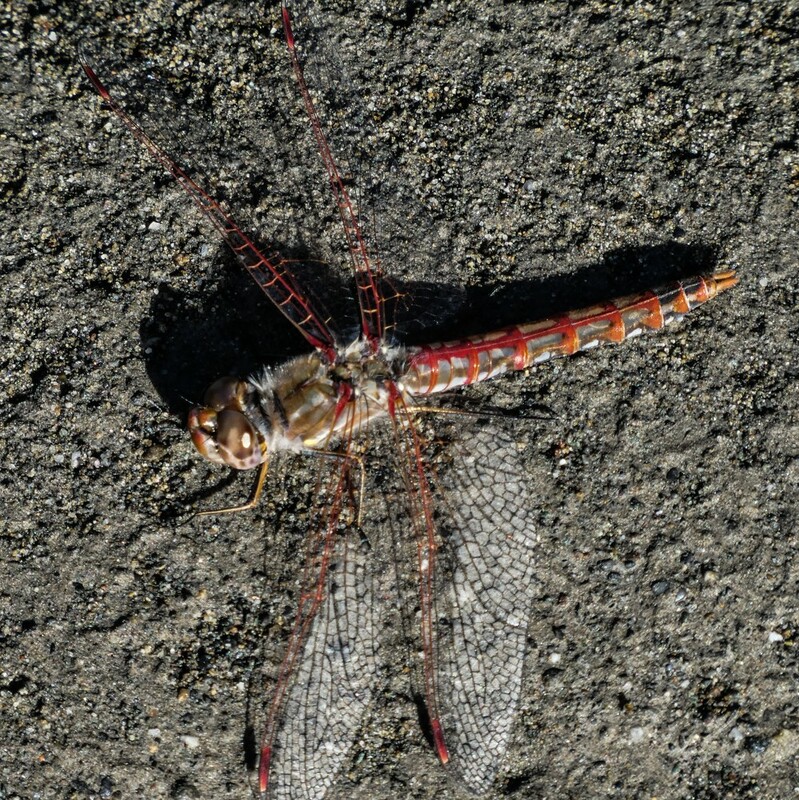 A well-known migratory species, the variegated meadowhawk (Sympetrum corruptum), they are one of the four species tracked by the Migratory Dragonfly Partnership. 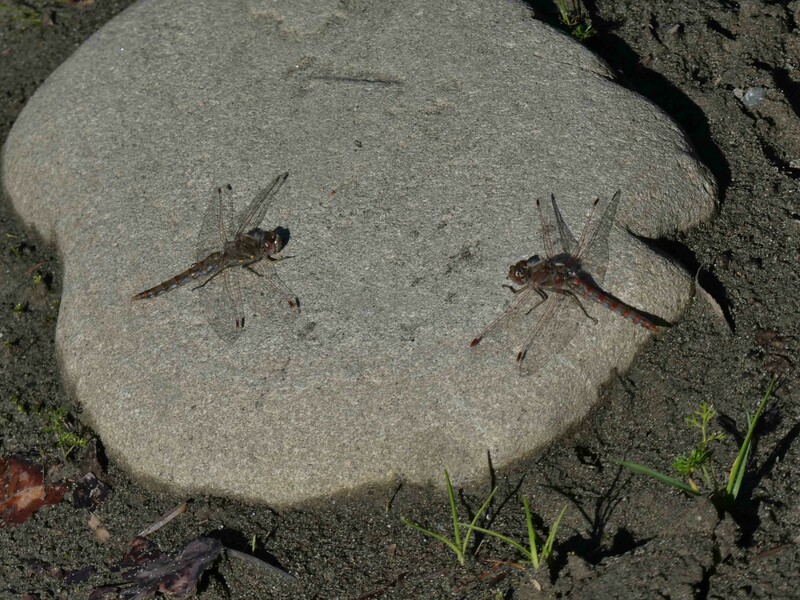 Since dragonflies are short lived as adults, each year I'm seeing a new generation. Did they spawn here or migrate in? Are they just making a stop over on their way somewhere else or are they at home here? No one seems to know, least of all me. Each year I worry they won't be there or I'll miss them, but every year on those rare warm winter days the little dragons are out and about. 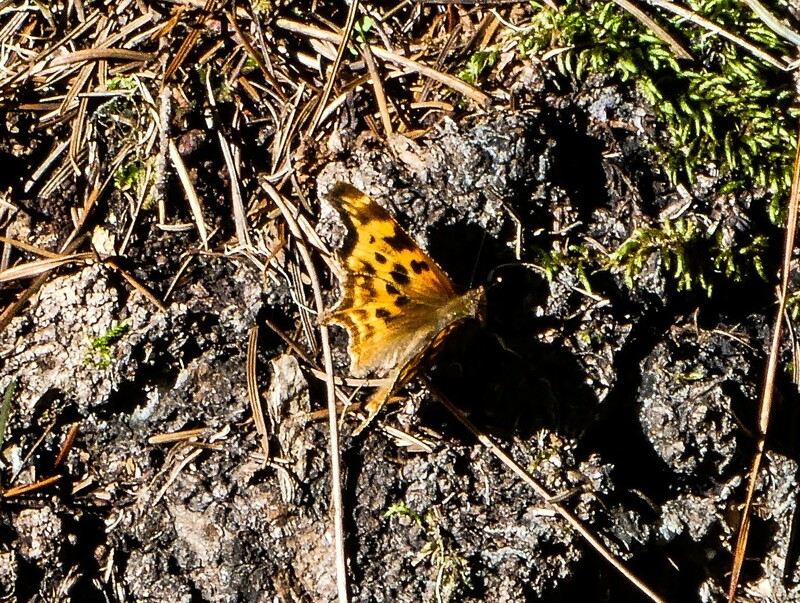 Anglewing butterfly sunning on an old tree stump. On a recent sunny day, an anglewing butterfly flitted through the shadows and alighted to sun itself just long enough for me to get a shot. 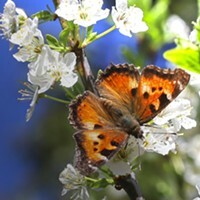 A member of the genus Polygonia, it is known to hibernate through winter emerging to fly on warm days. 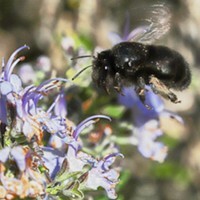 It is believed this behavior gives them an evolutionary advantage, being one of the first adult insects to be active in the early spring. 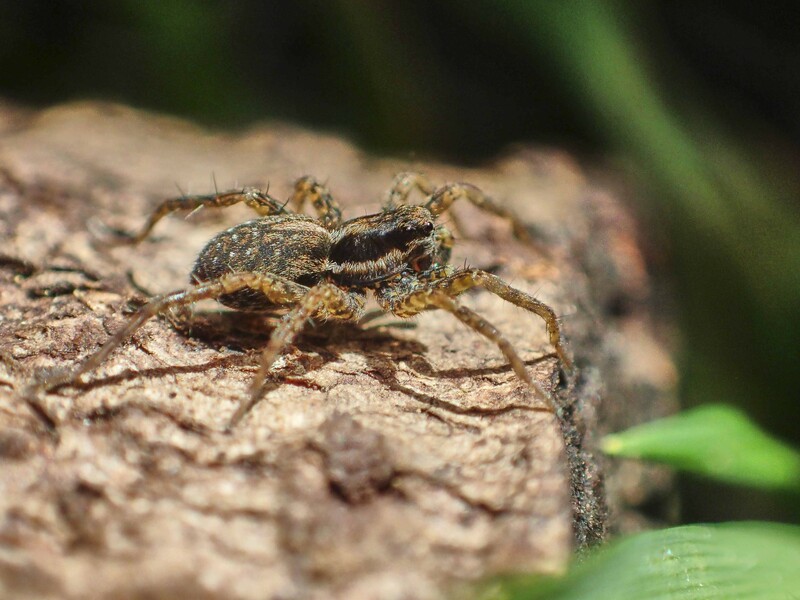 As I walked through my front yard, hundreds of little gray wolf spiders ran ahead of me through the weeds that pass for a lawn. There must have been a hundred at least. 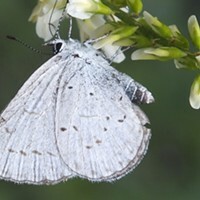 I am glad enough to see them, since they prey on all manner of insects that might be pestilential if not held in check by these able hunters. A wolf spider mother carries her egg sack on the tip of her abdomen and, once the young hatch, she carries them around on her back as she hunts. 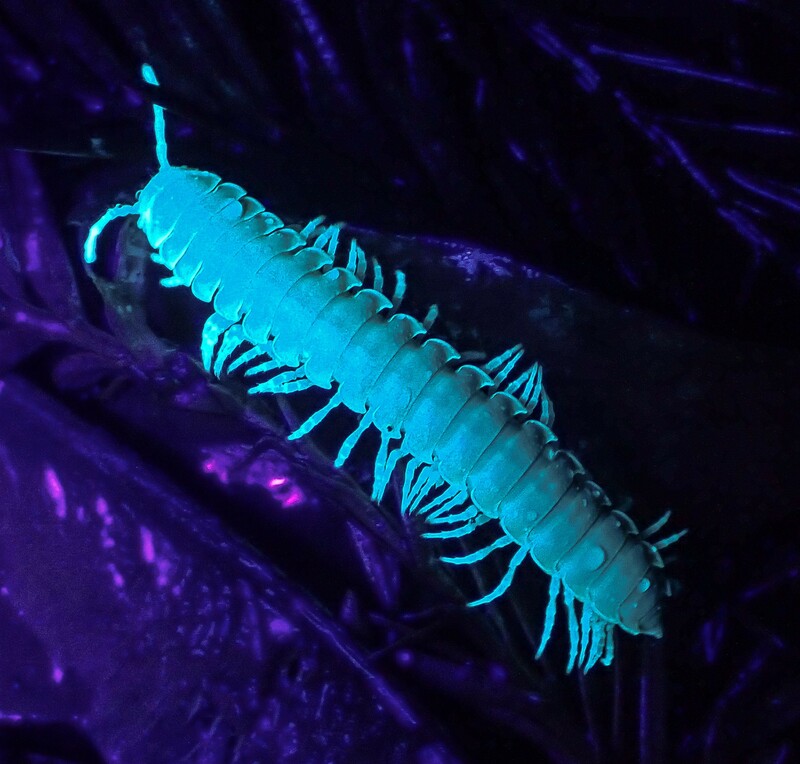 Florescent millipede under black light. A day later the rains returned and with them an opportunity to try out my newest and most powerful black light flashlight under the redwoods in my back yard. I was glad to see the florescent millipedes scurrying through the leaf litter.